A coat of paint on kitchen cabinets can add a splash of needed color, making the kitchen blend better with or stand out from surrounding rooms, often with dramatic effect. Unfortunately, painting the cabinets can also be a huge undertaking, putting your kitchen — and, consequently, your entire family — into chaos for days or even weeks. 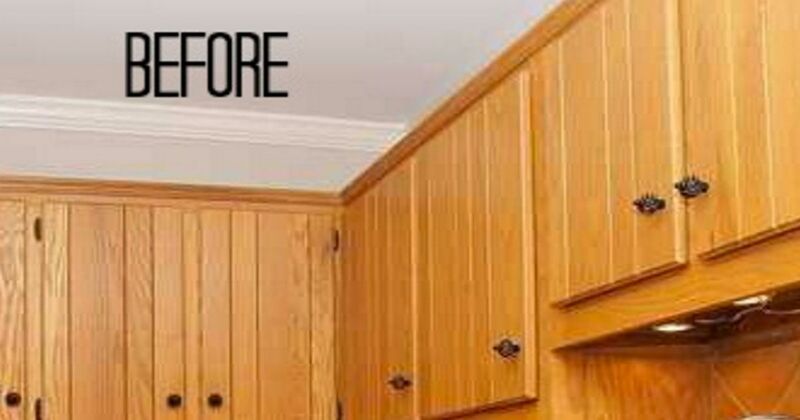 The usual steps for painting cabinets are: remove hardware, remove doors and drawers, sand, scrub, patch, prime, sand again, paint, paint more coats, reattach doors and drawers, reattach hardware. 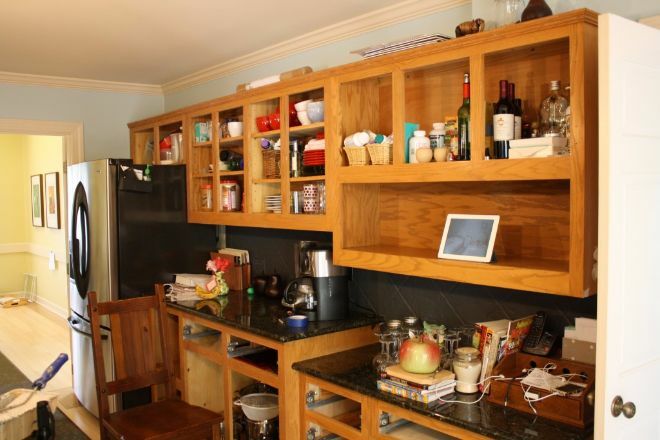 It's enough to make anyone crazy, but Tasha Agruso, a Designer Trapped in a Lawyer's Body, has figured out "how to paint kitchen cabinets without losing your mind!" 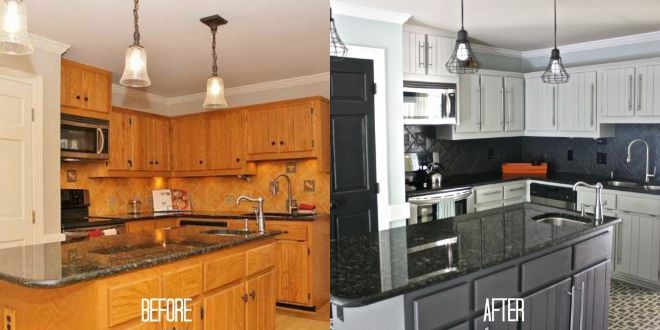 After a disappointing experience painting other cabinets, Agruso was considering giving up her dream of gray kitchen cabinets and just using a durable stain. Then she discovered Milk Paint by General Finishes, and gave their gray shades a sample stroke with a brush — and was immediately convinced. With no prep work, the paint dried quickly and provided even coverage, with no visible brushstrokes! 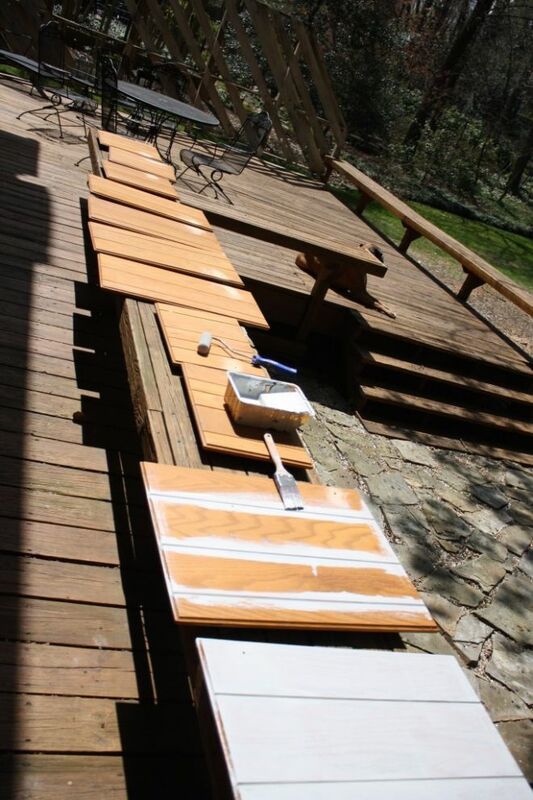 When it was time to start the project, the cabinet hardware was removed and the doors and drawers were taken outside to be cleaned, de-glossed, and patched where needed. Then Agruso went straight to painting with the Milk Paint — no sanding or priming at all! Agruso and her husband worked in sections, painting and applying a top coat to seal the paint. They spent two weekends and several weeknights working, and feel that it was well worth the hard work. Visit Agruso's Designer Trapped in a Lawyer's Body blog for detailed instructions and updates about how well the paint has held up since its application in 2014. 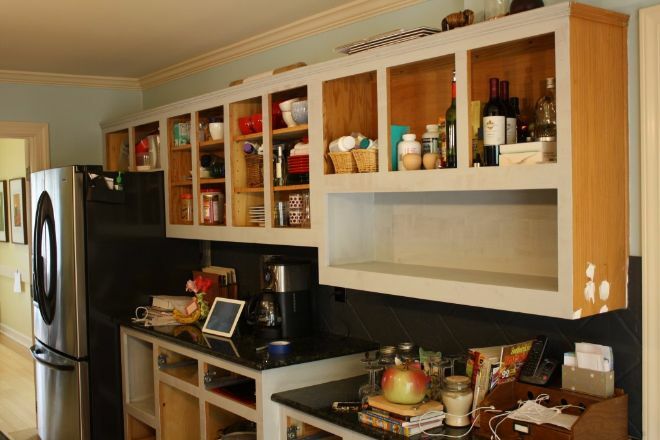 There's really no reason to "lose your mind" at all when painting cabinets! Another way to make the job easier is to use spray primer, saving a lot of hassle. If you use a small, flat artist's brush for painting crevices and catching drips, you may even be able to get the project done without removing the doors at all!